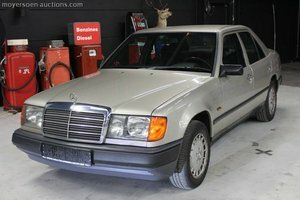 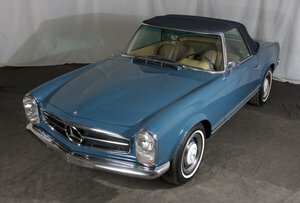 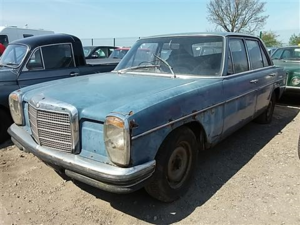 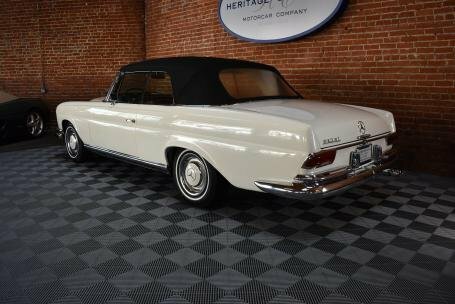 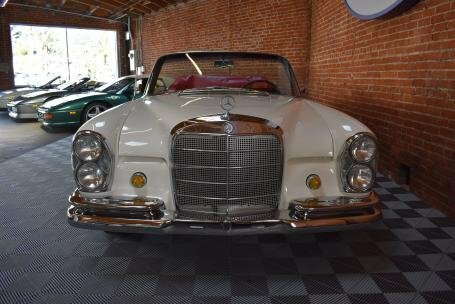 1967 Mercedes Benz 250SE Cabriolet = US-specs. 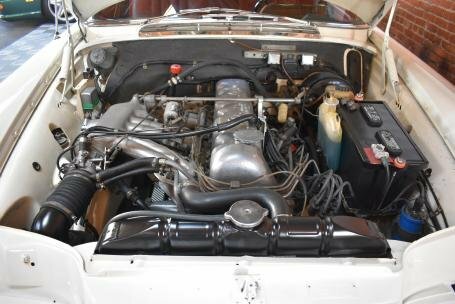 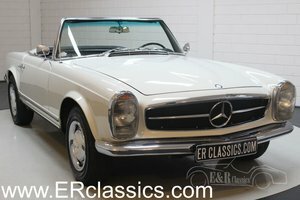 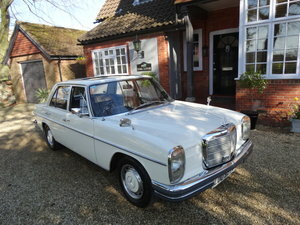 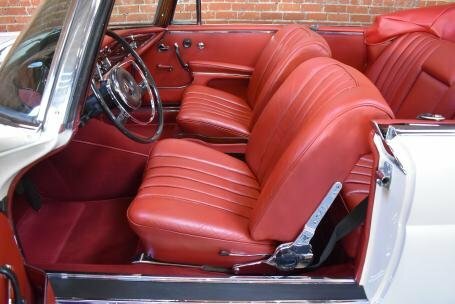 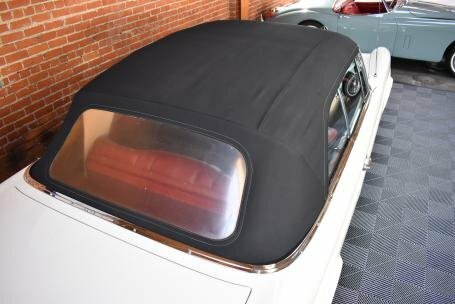 -A clean driver 1967 Mercedes Benz 250SE Cabriolet in DB050 White with Superb Red Leather Interior and matching Red Tonneau Boot, Black Canvas Soft Top with New Headliner. 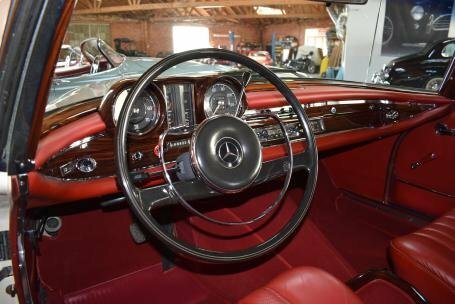 - Restored Zambrano Fascia, Becker Grand Prix Radio, Automatic Transmission, Detailed Engine Bay, Totally Rust Free, 30,389 Miles Recorded.